Hey Everyone- I hope your week is off to great start! I want to make an announcement to the community. At the end of this year, I’ve made the decision to stop blogging here. The community has been great to me and has helped me in extraordinary ways, and for that I am very thankful. However, my passion and interest in blogging has waned over the past few months to the point where continuing here would be unfair to the community, to someone who enjoys blogging and could take my place, and to myself. I will post a year end summary the last Tuesday of the month as a wrap up for my time blogging here. Thank you again to all those who have guided and supported me during my time here. This is sad to see. I was looking forward to killing my debts around the same time you would be done. 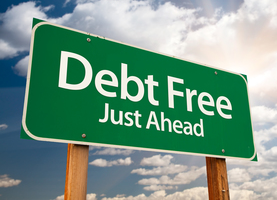 Hopefully you can chime in with a check-in post when you are debt-free! Bummed to see you go, but as a reader I really appreciate that you are owning up to your lack of interest in blogging. I wish you al the best! I’m going to be sad to see you go! I enjoyed following your story, however, I have no question that you will make it to the debt pay off finish line. You have such a quiet determination. It’s been nice to see a steady plodding story, and I think it is an important story to share since so many people are burdened by student loans. Good luck in the future! I do hope you’ll at least make a debt free shout out in the comments section when you’re don’t with your payoff. Agreed. Well said. We’ll miss you Matt. sad to see you go, but thanks for the honesty. Bummed to see you go, but understand too. Well wishes for continued success, friend!!! Totally understand and appreciate your honesty. Please stop back with an update on your debt payoff and emergency fund build up – I know you are going to make both happen!!! It’s been a pleasure hearing your story and I wish you all the best in the future! bummer! i have enjoyed following along with your progress, and i wish you all the best! i’d love to hear an update from you at some point in the future too. Thank you everyone for your well wishes! Even though I won’t be blogging, I will not be stopping my debt payoff. I intend to continue saving as I have been (up to $2,100, but doesn’t include the surgery I have to get for my dog tomorrow- the biopsies were inclusive 🙁 ) until I get to $5,000, then I’ll be hitting the debt hard again. If and when I hit any big milestones ($30,000, $20,000, $10,000, $0 left) I will indeed post them here. Thanks again to everyone!! Well, I’m sorry to hear this. I’ve enjoyed reading your story and I’m confident you’ll pay off all your debt in no time. If one was interested in blogging on this site, how would they go about doing so and what would it entail? I’d like to, but I’m not comfortable using my photo or my real name, would that be an impediment? Just curious. I’m sure this blog will get tons of people wanting to blog here and I don’t think I realistically have a shot, but I’m interested, barring the caveats I mentioned.